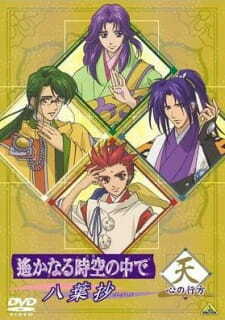 This is a short side story featuring the four Hachiyou of Heaven: Yorihisa, Takamichi, Eisen and Inori. There is not much plot going on, it's more character driven. They paired up Yorihisa & Takamichi, Eisen & Inori. Without giving away too much, a minor incident happens and the 'pairs' suspect each other for committing the 'crime'. Since they're all friends it's hilarious to watch them squirm in discomfort when confronting the other, particularly Yorihisa & Takamichi because both of them are sooo polite! I enjoyed this side story very much. Though it has nothing to do with the main story line it's quite entertaining. If you liked the main series you are going to enjoy this as well.